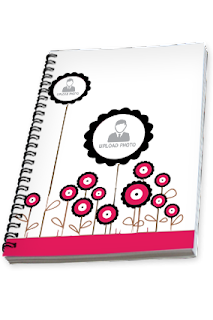 Nowadays, marketers are using notebook as a promotional tool. The reason behind using it as a tool is its usability and exposure to the audience. Irrespective of the age group, almost everyone uses it. 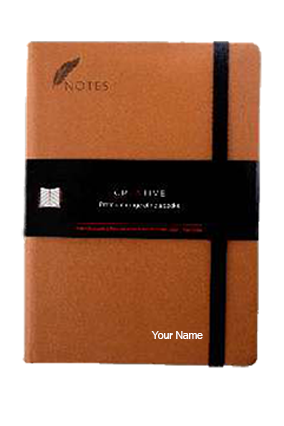 Considering its use by the public, companies are buying promotional writing notebooks online. In order to provide you a promotional notebook, we imprint the name and logo of your company on the front cover of the notebook. 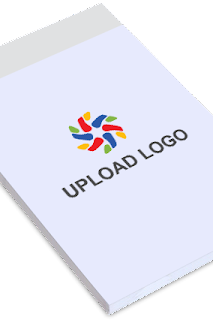 You can imprint additional image and message on it too according to your requirement. 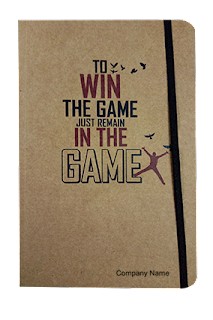 We provide quality enriched writing notebooks online to you so that you get the most out of your promotional item. The promotional items should be flooded with quality so that recipient i.e. your customer, client, or employee can use it willingly. We use 90 GSM sunshine papers for inner pages. You can get notebooks in two variants either with 100 pages or 200 pages in the size of A4 and A5. We provide annual calendar as the first page of the notebook that proves to be quite helpful for users. We offer branded notebooks too like Lotus. You would have used notebooks of Lotus for sure. You can rely on the quality provided by us as we bring our products direct from the companies. Our collection owns Lotus spiral notebooks and you can get it at the best price available in the market. Lowest price and fastest delivery of required items are our specialty. Lotus spiral notebooks come in various sizes like A4, A5, B5, etc. that allow you to have your promotional notebook in the exact size. As the front cover of notebook comes in the material of hard plastic, you can imprint the name of your company on it. Thus, you can make your company a brand. If the user will use your notebook, an instant advertisement of your company will take place that is the core purpose of promotional items. 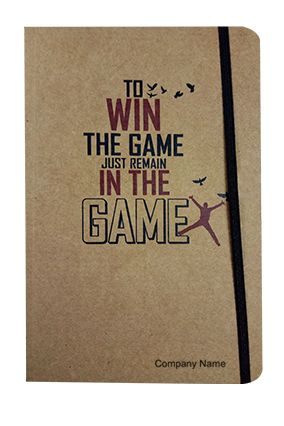 By using the notebook as a promotional item for your company, you ensure a rapid growth by bringing more customers to your business. Notepad seems to be quite useful at the time of making a list and recording information quickly. According to the required, the page can be torn out easily. Its usability is quite higher in office. If you run an office, you would have felt its need. To fulfill your need, we are here with custom office notepads on which you can imprint the logo and name of your company. As we print the content on whole front cover, you can imprint even more content than just logo and name of your company like slogan and message or other content you want. ·Clock: We all know that the clock is one of the basic goods of daily life. You can give your sister a personalized wall clock with her pictures imprinted on it. We offer a variety of wall clocks in different designs. You can browse our collection for selecting a designer clock for your sister. A photo of your sister and yours together will make the clock look great. ·T-shirt: We offer t-shirt for girls in round neck and collar. As our collection of the Raksha Bandhandesigner t-shirtis rich in size and color, you can get a fitted t-shirt for your sister in the right color. More to your surprise, you can imprint a photo, name, and quote on the t-shirt on both sides. It will really be a good gift for your sister. Try this.